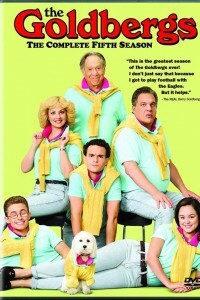 Set in the simpler, more family-oriented world of Pennsylvania in the late 1980s, The Goldbergs is a heartfelt sitcom loosely inspired by the younger years of the show’s creator, Adam F. Goldberg. While told through the narrative voice of grown-up Adam looking back on his childhood, the show focuses on 11-year-old Adam living with his parents and two older siblings, trying to make sense of the complex, comical world around him through the lens of his fascinating video camera. Whether it’s his older brother Barry learning to drive, a surprise visit from Adam’s grandfather, a new family moving in next door, or any number of other scenarios that the Goldbergs encounter, Adam can face it all with his trusty camera and beloved family by his side. In season 5, Adam Goldberg (Sean Giambrone) continues navigating high school while his mom, Beverly (Wendi McLendon-Covey), continues bedazzling her way through life and his dad, Murray (Jeff Garlin), parents from the comfort of his recliner in his underpants. Oldest sister Erica (Hayley Orrantia) is finally breaking away from her family and going off to college. Then there’s middle child Barry (Troy Gentile), as in touch with his emotions as he is with his rap skills, who commiserates with JTP member Geoff Schwartz (Sam Lerner) as they deal with their older loves leaving for college. Rounding out the brood is beloved grandfather Al “Pops” Solomon (George Segal), the wild man of the clan, a shameless Don Juan who enjoys family time with his grandkids almost as much as his weekly massages. Playmobil The Movie is an animated feature film inspired by the Playmobil brand toys. .